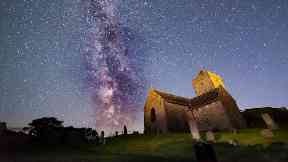 Ten photographers will have their work showcased at the Hebridean Dark Skies Festival. The works will be displayed at An Lanntair arts centre on the Isle of Lewis from the festival's opening night on Friday, February 8. 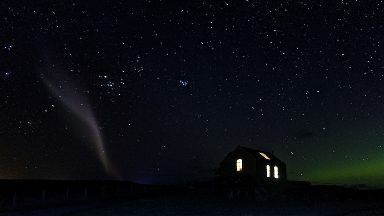 Casey McIntyre, from Berneray, won the festival's photography competition with a striking image of an atmospheric phenomenon called Steve (Strong Thermal Emission Velocity Enhancement). The picture was chosen for the cover of the festival's print programme. The other shortlisted photographers who will also have their work on display are Stewart Carr (Tiree), Les Ellingham (Lewis), Ruairidh Macdonald (North Uist), Gordon Macdonald (Harris), Magz Macleod (Lewis), Chris Murray (Lewis), Emma Rennie (Lewis), Mark Stokes (Lewis) and Andy Yearley (Lewis). Festival coordinator Andrew Eaton-Lewis said: "The standard of entries in our photography competition was incredibly high and it was very difficult to choose our shortlist of ten, let alone decide on a winner. "We're delighted to be able to share these striking photos, from Lewis, Harris, Berneray, Tiree and North Uist, which really get across how extraordinary the skies above these islands can be. "Even if you can't make it along to the festival - or if the stars don't come out as much as we'd like them to - this exhibition will offer a really memorable dark skies experience." Lewis and Harris have some of the darkest skies in the whole of the UK. Many astronomical sights can be seen through the naked eye, including the Orion Nebula (over 1500 light-years away), the Milky Way Galaxy, and one of the Milky Way's companion galaxies, the great Andromeda Galaxy. The Northern Lights, Aurora Borealis, can also be seen from the islands, one of the very best spots in the UK for watching the incredible phenomenon. In celebration, the inaugural Hebridean Dark Skies Festival will take place between February 8 and 21. It will include stargazing, talks, family activities, film screenings, workshops, an indoor planetarium, and much more, with events at An Lanntair, Gallan Head, and the world-famous Calanais Standing Stones. Festival guests will include The Sky at Night's Chris Lintott, international science presenters Heather Couper and Nigel Henbest, and Scotland's astronomer royal John Brown. 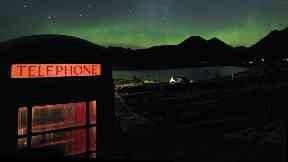 The full festival programme can be found online at lanntair.com/darkskies.